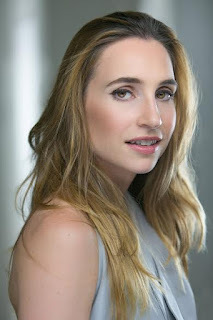 Rafaela Salvadori is a fantastic actress with a plethora of other skills. The talent is absolutely fascinating, for it’s pure, it can be elegant, it can be very raw, funny and deep. It’s filled with sexuality, sensuality with a great humor about it all. You look at her and you find a warm, provocative, natural, very pretty and sweet woman. She sings, dances, speaks five languages, enjoys yoga, paddle boarding, and has multiple degrees. She is definitely a force to be reckoned with and she is shining high. She has had a lot of experience over the years and is continuing to work hard. Originally from a small town in Brazil, Rafaela began dancing, which quickly developed into a love of performing for an audience and on camera. She didn’t come from an artistic family but she is a fighter and she is living the dream. Rafaela has an impressive resume to say the least. She has taken many acting classes and workshops. She studied ballet for eight years and is also skilled at Jazz, Modern, and Egyptian dance. Rafaela also has several degrees including a degree in Foreign Affairs and Environmental Issues from Brazil, a Masters in International Business from Paris, and a fashion degree from New York’s Parsons School for Design. In addition, she has taken a full-time Conservatory Program at the Atlantic Acting School in New York to further her skills in acting. Her driven nature and natural talent have taken her far. She has already starred in multiple leading roles. Rafaela has been in two films featured at the Marche Du Film Cannes International Film Festival in 2015. These two films were Moo Moo and The Three Witches and Simply Sandra, with Red Horizon Entertainment. She has also been in films such as I Don’t Want to Know, Welkome Home by the acclaimed Russian Director Angelina Nikonova, The Machine, Drifters, and Men Are Dogs. But it doesn’t end there! She also has upcoming works that will begin filming in the near future. She will be acting in a feature film with Feed Our Souls Production Company and with Red Horizon Entertainment. #RafaelaSalvadori is a woman with many talents and a very strong will. She will continue to astound and amaze the film industry as she pursues her career in acting with confidence, grace and style.